Father of 4, married since 1991 to my high school sweetheart, and I have been a youth minister, a juvenile corrections officer and a School Resource Officer. 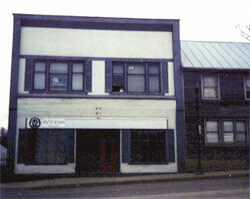 After I was born near the end of the Vietnam War, my mother divorced and moved us to Lexington, Ohio - south of Mansfield. 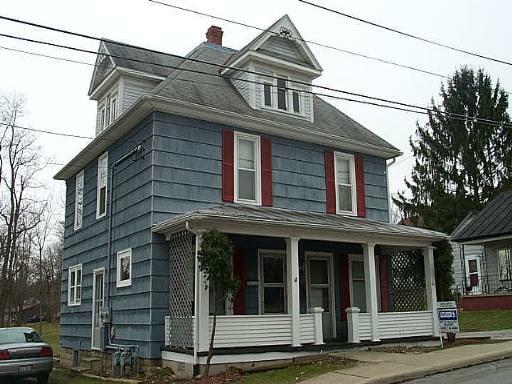 While growing up in a small mid-Ohio town with only a few friends, I developed an interest in technology. I played chess on an A.I. computer board from Radio Shack and learned how to program "if-then" statements on a basic text editor. I quickly realized I could not write more than 10 lines of code before it would break and gave up a career in C programming. (See picture below for my early experiences on a TRS-80 computer at the local public library in 1983). 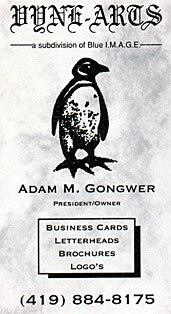 In the early 90's, I replaced a typewriter with a 386 PC for writing college papers in Cincinnati. Who can forget that unique noise from the DOT Matrix printer....I went from DOS to Win 3.1 during my two year stint in Bible College. After moving back home to Lexington in the mid 90's, I upgraded to Win 95 and began experimenting with HTML coding. The most annoying noise was a V.34 modem trying to connect to the internet. View a clip of me predicting 'the internet' will be the "next big thing" in a 1996 newsclip (while on the Mansfield Reformatory Preservation Society board of directors). Eventually, 56K modems took over the internet and more visually appealing websites were possible as I developed into a mature graphic artist. I built my own PC computer and soon realized that open-box display models at Microcenters were just as cheap. Working as a pre-press graphic designer for a few years, I was exposed to MAC and fell in love with the task bar placed at the top of the screen. After the turn of the century, I joined Ontario Police Department in 2003 and began assisting previous Chief Smith with I.T. responsibilities and evidence room management. I was added to the Hostage Negotiating Team assisting with I.T. 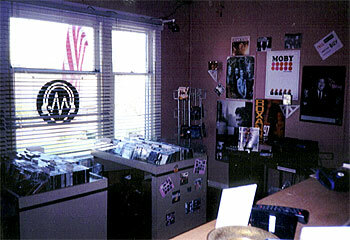 setup in 2006. At home, I soon found myself hosting other client's websites and maintaining email pop accounts on a CentOS Unix server. 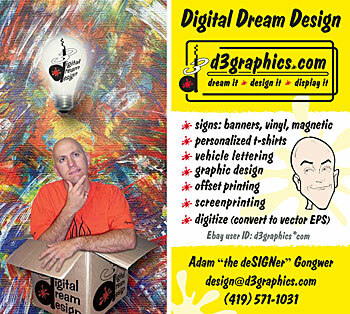 I own a graphic design company, MyARTideas.com. 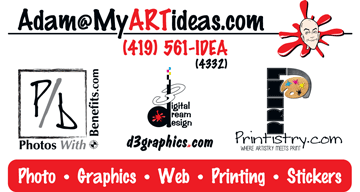 MyARTideas.com began as a print brokerage firm in 1994 under the moniker: Vyne Arts, a subdivision of Blue IMAGE. A combination of two brothers and their wives. 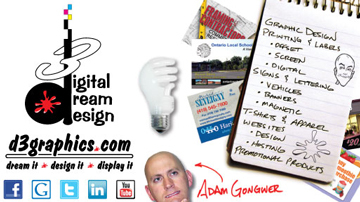 We did some graphic design using Photoshop and Illustrator, but mostly we were brokers for thermographed Business Card and Letterheads/Envelopes. We first learned web design by coding strictly with text editors, and eventually started using Frontpage and GoLive software (later called DreamWeaver). 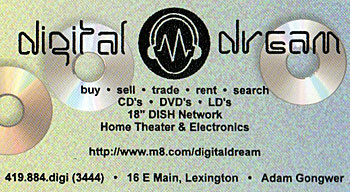 We changed/registered our name to Digital Dream to represent our diverse product offering. 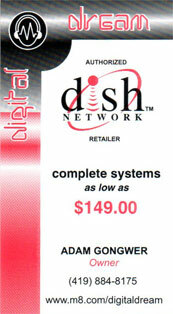 During our downtime, we sold CD's, digital home audio equipment including & installing DISH satellite receivers, and a host of other digital electronics, typically Pioneer brand. 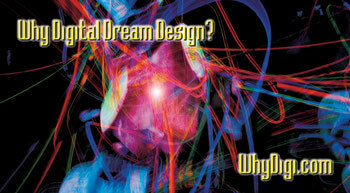 We added Design to the end of our name and "Why Digital Dream Design" was the marketing plan. (Front and Back of BC below). 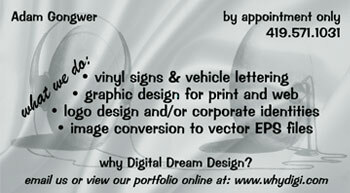 In January 2004, we purchased a computer aided plotter/cutter for making vinyl signs and lettering. We also purchased a heat press for making custom impressions on T-Shirts. In 2014, we sold off that equipment and now use Cain.Graphics for our vinyl, digital vinyl and T-Shirt production. In 2015, we joined Art Arena! Selling our photographs, artarena.com/printistry. Winter of 2015, added BuyorLeaseMe.com to assist in selling unused MyARTideas domain names. Spring of 2017, started writing my comedy-theme autobi0graphy: LaughingHelps.Us. I work as a School Resource Officer in a district of over 2000 students and 150 staff. 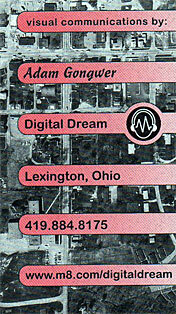 I also represent citizens of Lexington as their councilman (cumulative total of 8 years dating back to the 90's). I also enjoy taking photos (portfolio) with my two Nikon cameras. I'm not anti-Canon but I do love Nikon and Nikkor lenses. I have been capturing HD video of my son's high school band this year and posted his drum stick trick-throw on my Youtube channel. I volunteer on the soundboard crew at my local church. 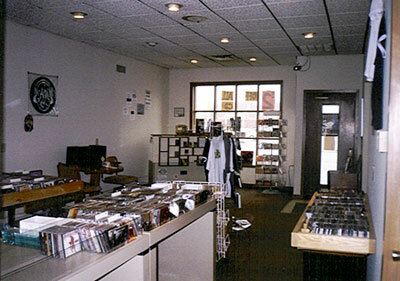 Duties include Mixing, recording, mic setup, music and video choreography, and dual / split projectors. I am currently helping my 10 year old son learn Python programming language and utilizing it on a Raspberry Pi 3 board. I also wrote a comedy-themed memoir autobigraphy.